The United Kingdom boasts some of the best concert halls in the world - and they're real lookers too. Here's a small selection. 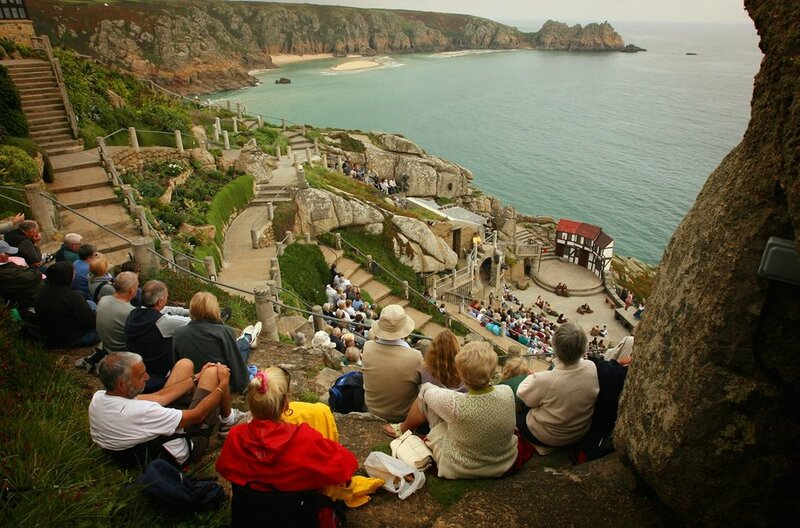 The spectacular open-air theatre appears as if it was carved into granite cliffs 2000 years ago. Actually it was created by a determined Cornishwoman in 1932. Check it out for performances by New Cornwall Opera. Located in the heart of London's West End, this beautiful venue is the perfect setting for intimate recitals of chamber music. With near-perfect acoustics, it has attracted the world's greatest musicians. The Sheldonian was built from 1664 to 1668 from a design by Christopher Wren for the University of Oxford. It is used for concerts, lectures and ceremonies, but - unusually for a theatre - not for drama. The world famous Concert Hall was founded by Benjamin Britten and Peter Pears in 1948. Today it is operated by Aldeburgh Music, who create a diverse programme of music throughout the year. One of London's largest theatres, the Coliseum opened in 1904 as a "people's palace of entertainment". The Sadler's Wells Opera Company moved into the building in 1968, before changing its name to the English National Opera in 1974. There has been a church in the north-east corner of Trafalgar Square since medieval times. The present building was constructed in the 1720s. The church is a popular venue for lunchtime and evening concert and performances by the Academy of St Martin-in-the-Fields. The home of The Royal Opera, The Royal Ballet, and the Orchestra of the Royal Opera House, the sumptuous building seats 2,256 people and consists of four tiers. One of the world's finest concert halls, Symphony Hall is a 2,262 seat auditorium and home to the City of Birmingham Symphony Orchestra. Completed at a cost of £30 million, the hall's interior was modelled upon the Musikverein in Vienna and the Concertgebouw in Amsterdam. Located in Cardiff Bay, the spectacular Wales Millennium Centre houses the national orchestra and opera, dance, theatre and literature companies, a total of eight arts organisations in residence. Nothing says English summer more than Glyndebourne, the Sussex country house near Lewes that has been the site of an opera house since 1934. Initially, operas were presented within the 600-year old house itself but there is now a purpose-built opera house in the grounds. Photo credit Leigh Simpson.